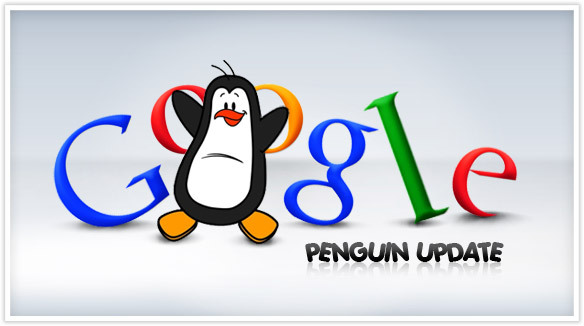 How Social media can help to overcome Penguin updates? Right at the time when SEO was experiencing a tremendous growth, Google started rolling its algorithm updates. The first update Google Panda caused quite a few changes which made the internet marketers unhappy. And the worse came when the Google Penguin update was made. Many websites faced a major downfall by losing their rankings. The Penguin is aimed at cutting down the number of duplicate contents online and to improve the quality of the content. Google releases these algorithms to transform the Internet into an informative place with original content. Now that you are terribly hit by the Penguin update, it is vital to get back to the rankings that your website had in the past. As you are on the road to recovery from the algorithm updates, practicing white hat technique is the best resolution. Methods to recover from Penguin is still under intensive research, and there are few tactics like. Are you the owner of a small website? You have the option of adding a social networking site which acts as a source to bring in original content. The free and low-cost options can be used to form an online community which is the best place to get innovative ideas. The social media profiles can be linked to the website. The Twitter-Ticker or the Facebook Box can be included to your blog or website. This will bring creative contents to your site with less difficulty. Social media buttons in your post adds weight to your website. Most of the site owners, webmasters and small businesses have suffered tremendous loss. To recover from the loss indulge in more smart social media activities which can drive a reasonable amount of traffic to your website. Create a fan page and gather support from the public. Indulge in forum participation, bookmarking and other interesting activities. How can one forget networking? You can connect with related social groups and increase your visitors. Do a little bit of research before you reach out to the various groups. Browse their content to make sure they coincide with your website. This will invite more visitors which boost up your page rank and your revenue (by means of advertisements). Make your network pages colorful by creating YouTube videos and other low cost videos. Post pictures related to your content and make sure that the pages are connected to your website. You will be surprised by the amount of traffic you get from the multimedia activities. Google loves contents with slide shows, videos and photos. Make sure to maintain a keyword density of 2% or much less than that. Anything more invites trouble, because Penguin thinks that you are over stuffing the keywords. Any business suffers loss at some point of time and there is always a better way to climb back to a high position. Social networks like Youtube, Twitter, Facebook, Linkedin and other sites are great sources that can be used to come out of the Penguin consequences. Contents that have thousands of comments, likes, tweets and shares rank higher than the other. Now that you know a few tricks start building your website using effective social medias.